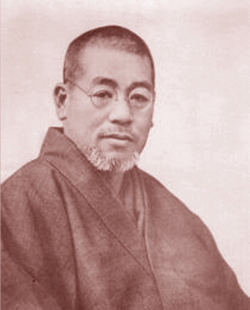 Reiki is an ancient form of healing rediscovered by Dr. Mikao Usui. The word Reiki in Japanese means Life Force Energy, which in hindu philosophy is called Prana. The flow of reiki energy is nothing but the flow of Prana or Life force energy in our body. We are not dead so long as our body has life or prana in it. Similarly, we are healthy so long as we have regular flow of life force energy or prana or reiki in our body. In Hindu philosophy, when one dies, it is said that he has become brahm-leen. Which means that his prana has merged in to the brahm or universal life force energy or cosmic energy. It is this brahm or cosmic energy that is an eternal source of energy. The better we are connected to this energy the more we are at peace. By surrendering to the Reiki energy, we surrender our life to the cosmic energy. In a Reiki treatment one channels the life force energy to his body to remove the ailments. It is a holistic method of treatment for total relaxation & stress release, self-treatment of mind, body and soul. It works on the concept of seven chakras. In general, these bodies are called "AURA". Aura is a Latin word meaning "a breath of air", "a glow of light" or "fragrance". Each of our outer body of energy field (or layer of aura) have different diameter e.g. the spiritual body has a diameter of 15-18feet, the mental body has a diameter of up to 8 feet whereas the etheric body which radiates from the physical body has a diameter of up to 8 inches. 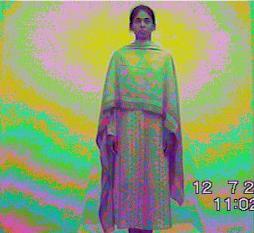 These outer bodies may be photographed using a "Kirlian Camera" or PIP Camera (Polycontrast Interference Photography). Typical aura photograph using a Polycontrast Interference Photography (PIP) camera of me and my sister are available here -> me, my sister. Out of our seven bodies, if the first three bodies namely physical, etheric and mental bodies are in harmony, we have perfect health (physical as well as emotional). Physical Body : The body which we see with our eyes, where we feel the diseases. The modern medical system does diagnosis and treatment on this body. Etheric Body : It is like an armor which protects our physical body from negative vibrations. 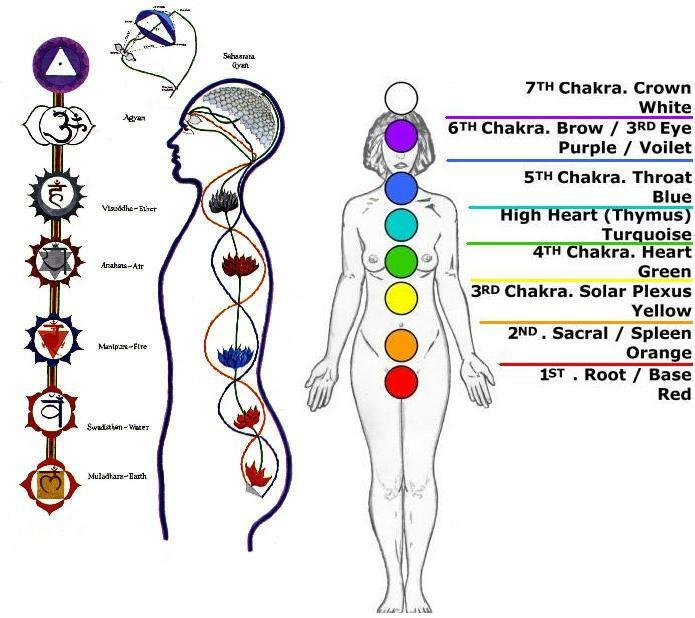 The seven major chakras are on this body. 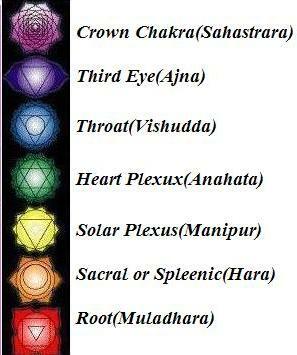 These chakras are also known as energy centers. Mental Body : All our thoughts are developed here, they go to our physical body via the etheric body. Normally we have two kinds of thoughts, positive & negative. Positive thoughts are our divine power whereas negative thoughts are devilish power. Our life is molded by our thoughts. Our negative thoughts create pressure on our physical body and such pressure is then converted into body pain. In the long run this body pain is transformed into a disease. These negative thoughts manifest themselves in the form of weakening of energy of a particular chakra or blockage/congestion of energy flow in a particular chakra. Reiki treats one at the etheric level where it removes the negative energy patterns/blockages from the major as well as minor chakras (each minor chakra directly affects some part of our body). 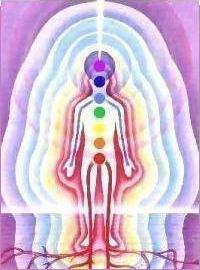 Reiki energy harmonizes our chakras & balances the energy within them. Thus it treats any disease at the "causal" level. 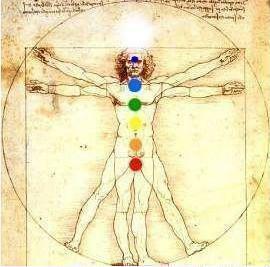 The word chakra is Sanskrit for wheel or disk and signifies one of seven basic energy centers in the body. Each of these centers correlates to major nerve ganglia branching forth from the spinal column. In addition the chakras also correlate to levels of consciousness, archetypal elements, developmental stages of life, colors, sounds, body functions, and much, much more. Below is a brief description of each chakra. Chakras are the spherical whirlpools in the etheric body, that act as transmitters of energy. They influence our physical activities through the function of our endocrine glands (glands of internal secretions, such as the thyroid). These glands affect our physical functioning, our mental equilibrium and emotional integrity. In accordance with the use we give to them, they may be constructive or discordant. Our ethereal body has got 7 basic chakras. Good or bad chakras do not exist; they are all necessary for our earthly experiences, as well as for the process of spirituality. I am going to explain separately the function of each one of them, always having in mind that they function as a whole and, in that wholesomeness we really find the equilibrium. Every chakra has got a dual function with the exception of the first and sevenths ones. The remaining ones have worldly as well as spiritual activity. The Sacral and Throat work together and belong to creation. The Solar Plexus and the Third Eye are related to vision and intelligence. The Heart and Crown express cosmic dimensions. Click here to learn the details of each chakra. Each chakra will express the same function in a lower frequency. Diseases are related to the impotence to absorb, transmute or integrate energetic frequencies. When the energy enters into a chakra and is blocked, it will try to express itself through a psychological disassociation. Whereas, if the energy is already in the chakra but expresses itself negatively, it eventually will be manifested through physical problems. Different type of emotions are stored at different places in our body and manifest themselves as a disease to that part of body. A Reiki session is started with the attitude of gratitude. One starts with thanking himself (for whatever he is, has achieved), his parents, partner, teachers, friends & cosmic Reiki energy and evokes the flow of Reiki energy by mentally reciting the statement "let the cosmic Reiki energy flow for healing". After the attitude of gratitude, all Reiki practitioners heal all their chakras. A level I practitioners puts his hand on the energy centers/chakras. Level II and level III practitioners also use various Reiki Symbols on the energy centers/chakras to concentrate meditative energies to these chakras/centers. It is mandatory that one practices Reiki on all the 24 minor energy centers (a minimum of 3 minutes on each center, click here to download a "music for meditation" with 3 minutes buzzer - you must use headphone for this music to be effective) for a minimum of 21 days after each attunement process. If one is not able to spare so much time during a whole day then one may opt for short-cut method where one is supposed to do Reiki only on all the major chakras except "Crown". How is one initiated into Reiki or Attuned ? Reiki Grid: One way to do continuous healing is to make a crystal (natural quartz) grid and charge it with Reiki energy or any form of meditative energy. This grid then heals continuously to the messages kept on it. Anger is an emotion that is experienced because of the past; it can often be suppressed and carried through life. This principle does not say do not anger tomorrow, but rather just for today - choose to let your anger go, live in the present and not in the past. Worry is related to perceptions of the future - what if it will / will not happen. What purpose does this serve? Why worry about that which has not and probably won't happen, live in the present and do not worry for the future. Our parents, siblings and present life is decided by our past life karma, which means that we have decided our present life. If we do honor our choice then it is the self that is being denied. Live in the present and appreciate your life. Be grateful to what have been given to you by the almighty. Again we have chosen our path in advance according to the lessons required by the soul, this includes our work. To honor brings satisfaction, value and respect of what one does today, not yesterday, not tomorrow, but today. We are all part of a whole, not more, not less, but a part of the ultimate. At a soul level we are all linked, we are all one. Any cruelty, be it towards another human, an animal, a plant or even a thought form, is showing cruelty to oneself and to all-else that exists. Download the complete article in pdf format here! Essential Reiki (A complete guide to an ancient healing art) - Diane Stein. Essential Energy Balancing - Diane Stein. Psychic Healing with Spirit Guides and Angels - Diane Stein. Hands of Light - Barbara Ann Brennan. Empowerment through Reiki - Paula Horan. Energy Medicine - Donna Eden.